There’s something for every trendsetting fashionista this Christmas with myStyle craft from Interplay! The myStyle collection is a must-have amongst girls looking to design and create professional quality accessories whilst keeping true to their own individual style. 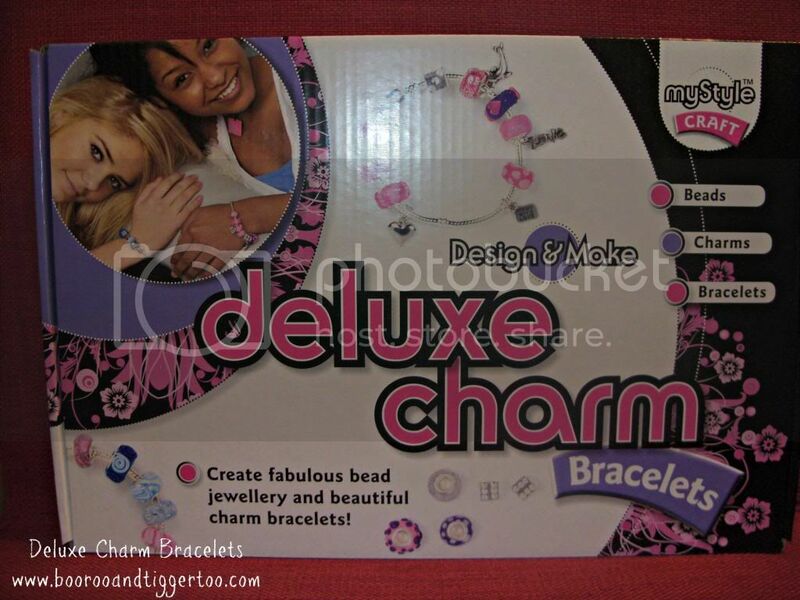 myStyle Deluxe Charm Bracelets do just that, allowing girls to design and make beautiful silver charm bracelets, almost identical to leading designer brands, but at a fraction of the price! Alternatively, myStyle Designer Jewellery provides colourful clay and quality components to make necklaces, bracelets, earrings and pendants that can be customised to fit any individual style. Stylish tweens can also create cool brightly coloured jewellery from shrink plastic with myStyle Shrink Craft Jewellery. There are many other new myStyle craft kits to discover too, such as myStyle Gorgeous Girly Cushions, learn how to make three fabulous cushions, a perfect way to accessorise any girl’s bedroom or myStyle Japanese Best Friend Dolls, paint and decorate three ‘kokeshi’ dolls and share a secret message with a friend. The collection of new myStyle kits doesn’t stop there, girls can also choose from the new myStyle Wire Craft Rings or myStyle Dangly Charms. The quirky Dangly Charms lets girls create delightfully different charms, using feathers, beads and ribbons that can then be clipped onto bags, pencil cases or anything they wish, whilst the Wire Craft Rings kit provides enough components to design and make eight fun and fashionable rings. Or why not choose the Union Jack cushions, with which girls can create patriotic cushions to be proud of in this very special year! myStyle is all about encouraging girls to express their own individual style whilst ensuring they have the perfect piece of jewellery or special gift for every occasion! These kits make the perfect present for any style-conscious tween who wants to ensure she is glamourized with fine creations in time for New Year’s Eve! Previous Post: « How much fibre is in your families diet?